Updated on 10/25/2018. 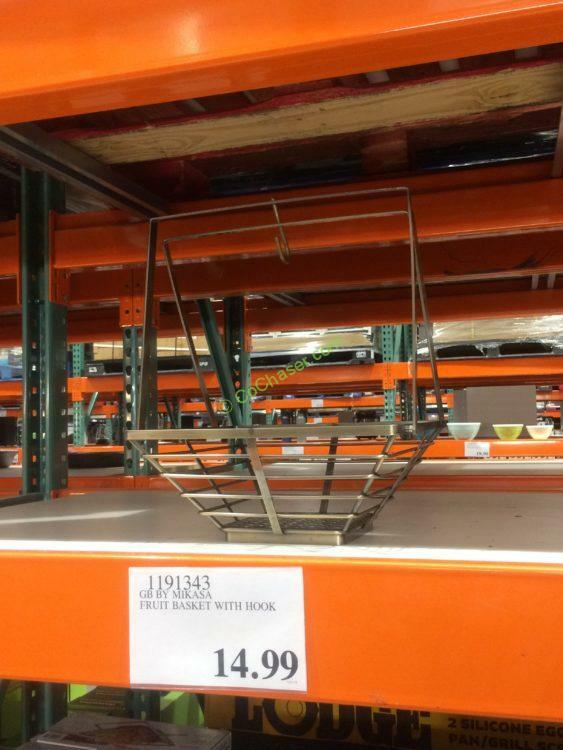 Costco cuts $3 on this item now, dropping the price to $11.99, valid through 11/5/ 2018. This Gourmet Basics by Mikasa is a 3-in-1 convertible basket. Solid steel with antique finish, this basket presents a beautiful, high-capacity way to store and display fruits, vegetables, and more. You’ll love keeping this item on display in your kitchen or dining room table, bathroom or any space you want to show off stored items in style. 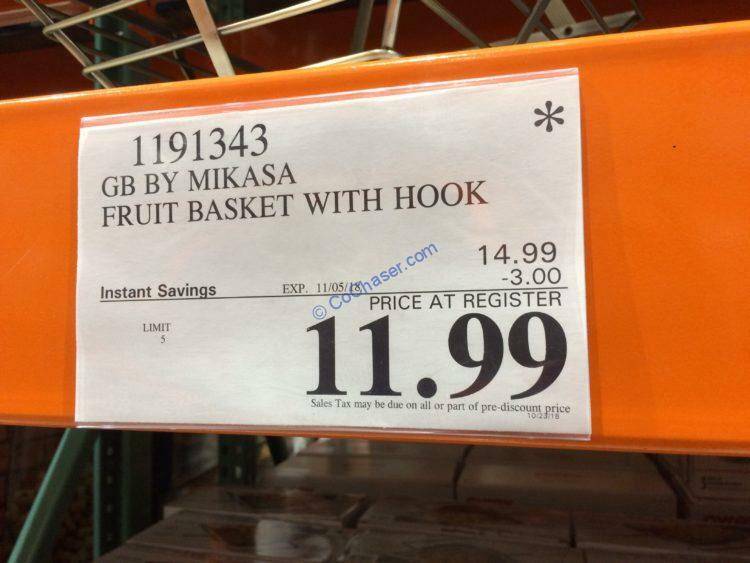 as a produce basket with a removable banana hook that helps prevent foods from bruising.